Old Glory, carried safely in the sure hands of a United States Marine Corps veteran, led the 2017 Independence Day parade through the streets of Delaware. 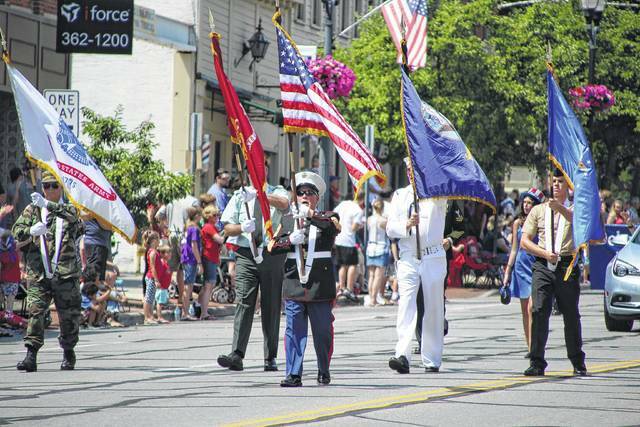 The veterans bearing the flags received a standing ovation from residents watching along the route, which began on North Liberty Street at the county fairgrounds, made its way east on Pennsylvania Avenue, and then south on Sandusky Street through the city’s downtown district. Local veterans organizations, first responders, civic groups, youth organizations, churches, businesses, and politicians were represented in the annual parade.